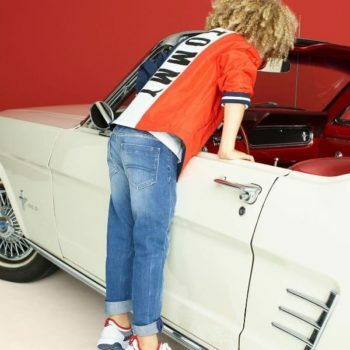 Love this TOMMY HILFIGER Girls Coral Pink Sweatshirt, Blue Button Down Shirt & White Skirt for Spring Summer 2018. 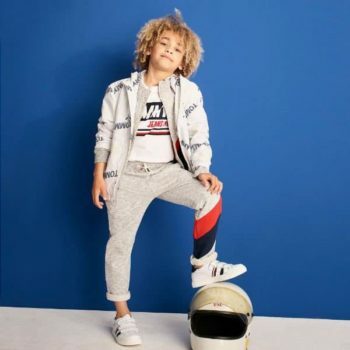 A great option for the cooler months, this sweatshirt by Tommy Hilfiger is designed with a large patterned star with white logo print on the front and flag embroidery on one cuff. Adorable Streetwear Look for Girls. Inspired by the Tommy Hilfiger Women's Collection. Great Price & Ships Worldwide.